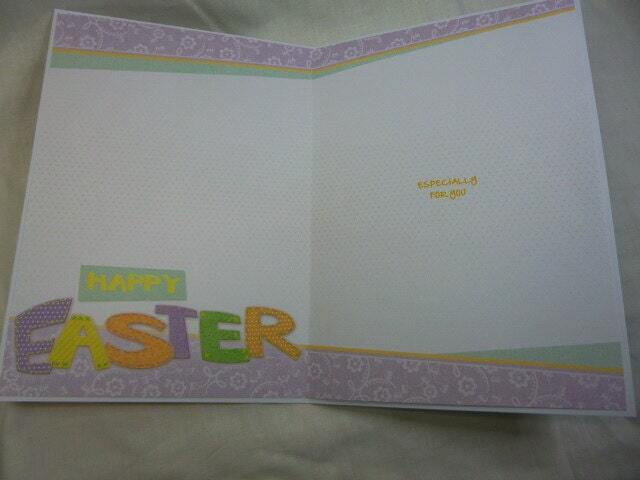 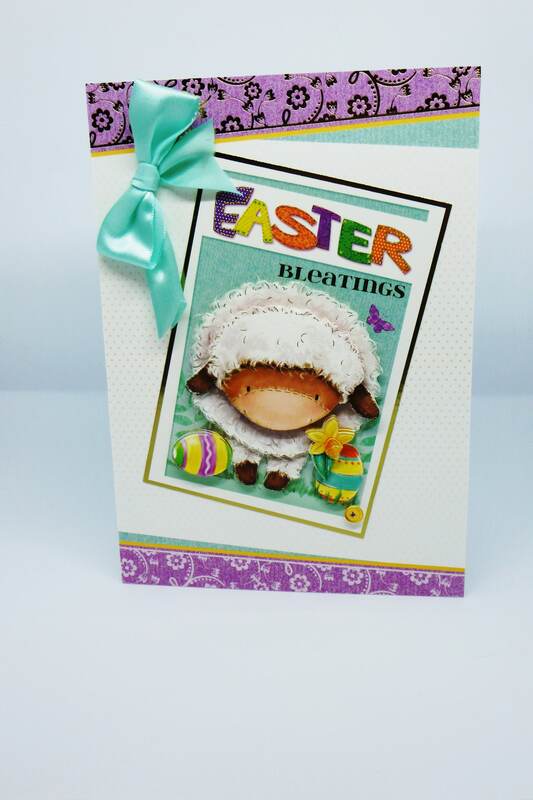 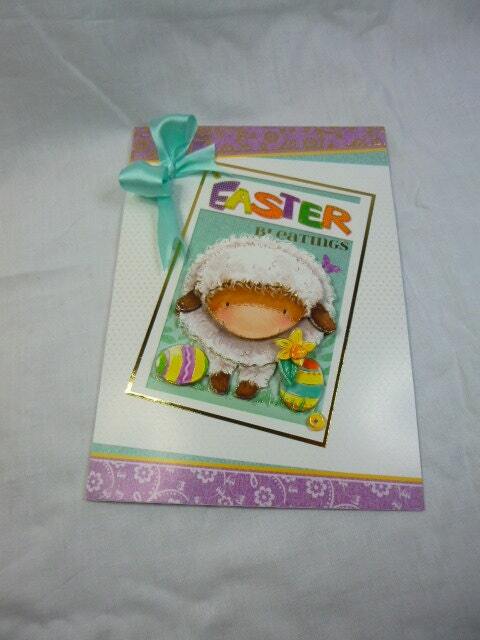 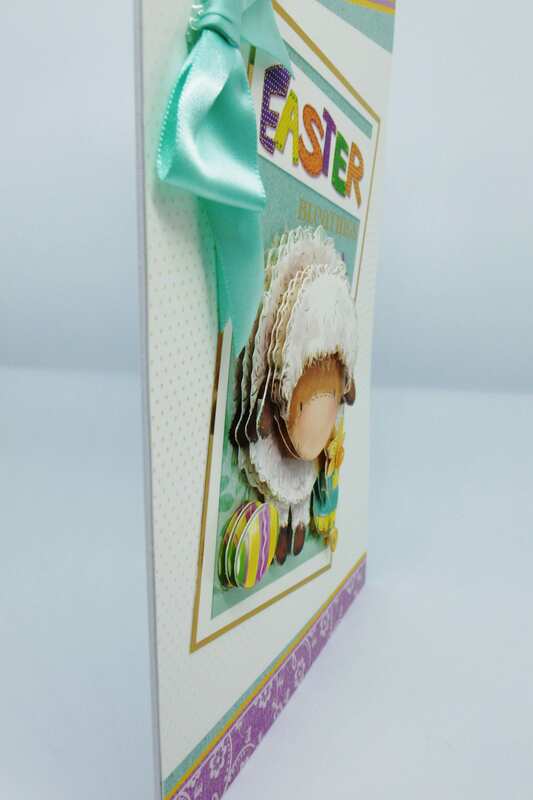 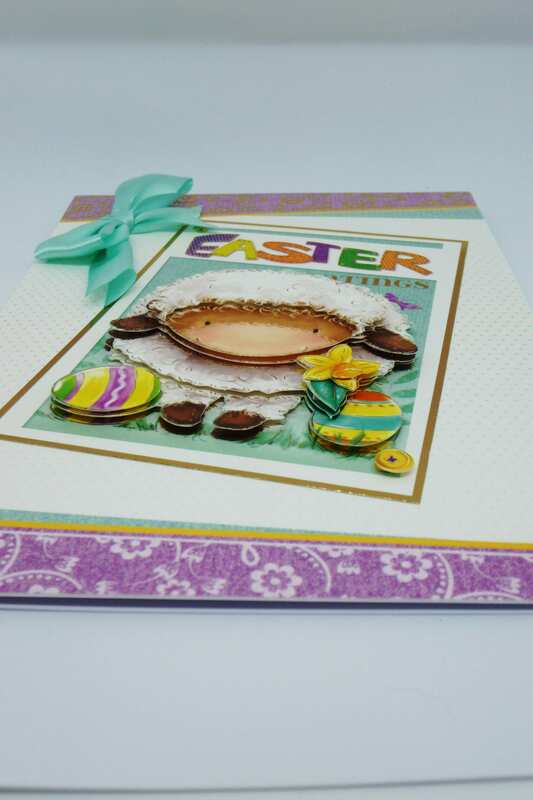 A fun bright Easter card, suitable for any age. 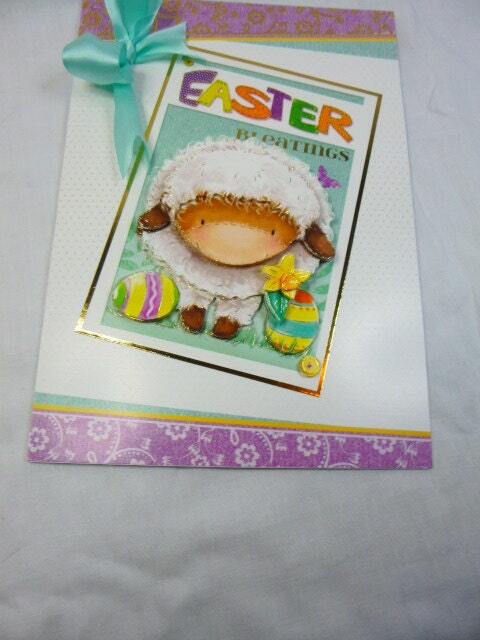 A large topper with 3D decoupage sheep with Easter eggs at the bottom of the topper. 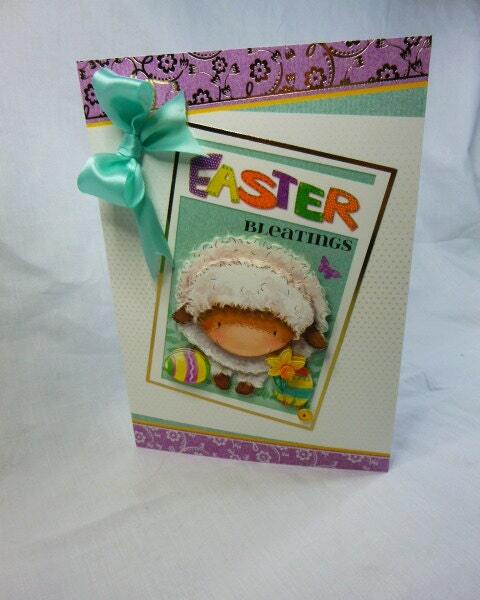 A large satin green bow in the top left hand corner of the card. 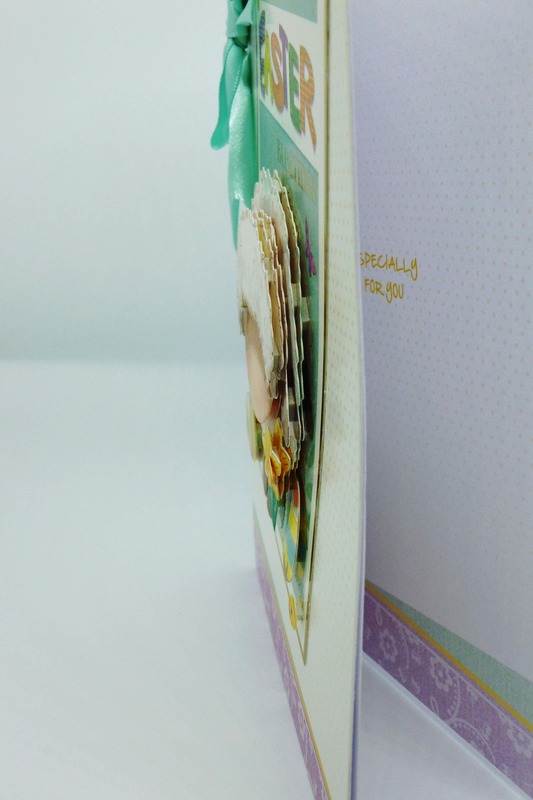 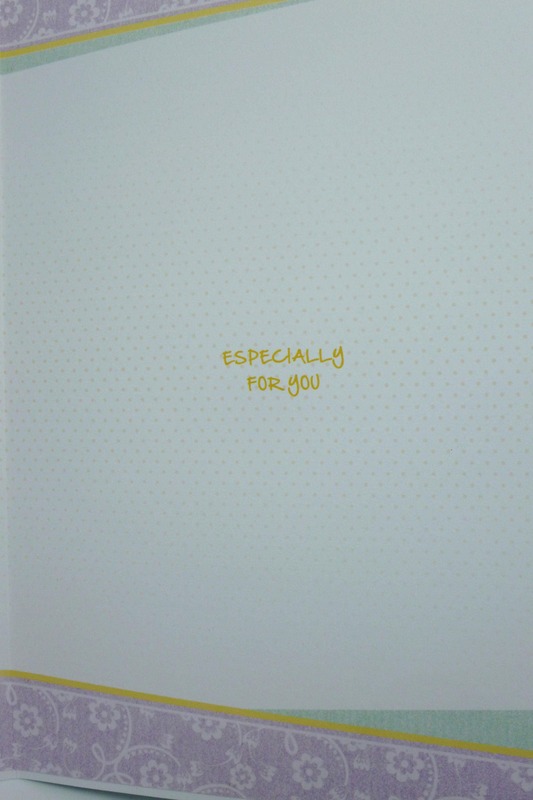 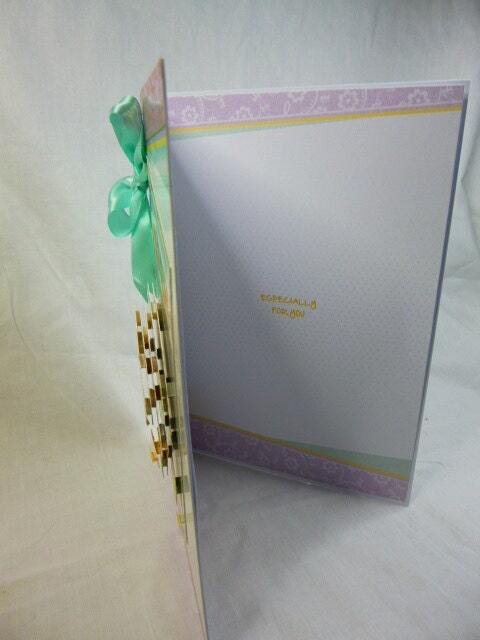 Inside the card is matching insert paper, which says, 'Especially For You '.